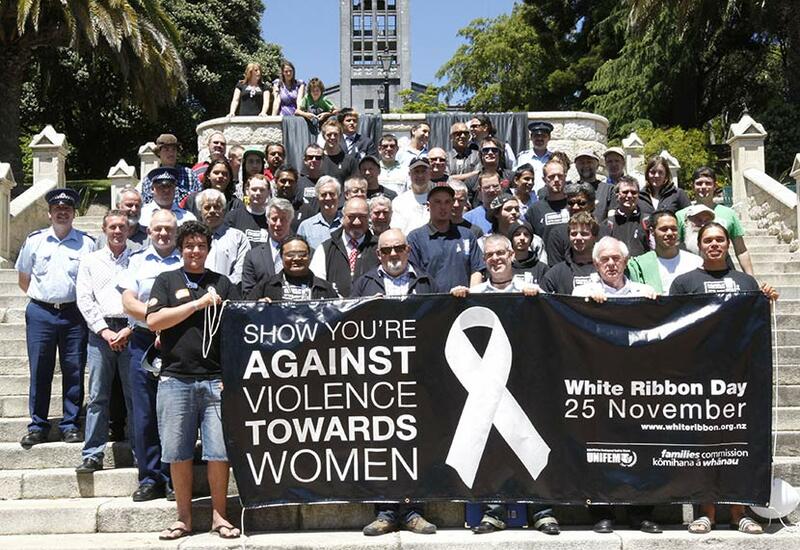 Anti-violence marchers – most of them men – stand on the steps of Nelson's Christ Church Cathedral to mark White Ribbon Day in November 2009. With increased recognition of domestic violence has come greater involvement of men in opposing it. White Ribbon Day, an international event started in Canada and recognised by the United Nations, is organised by men who pledge not to commit, condone or stay silent about violence against women.